help but wax poetic on art history. Bison painting at the Cave of Altamira in Cantabria, Spain. Dated to Upper Paleolithic Era. Image via Wikimedia Commons. even have had control over fire. found engraved ochre stones and shell beads in Blombos Cave in South Africa. may be disputed on whether or not they are early forms of art. Ochre carving found in Blombos Cave in south Africa. Image by Chris. S. Henshilwood via Wikimedia Commons. and representational art as well as abstract and geometric work. 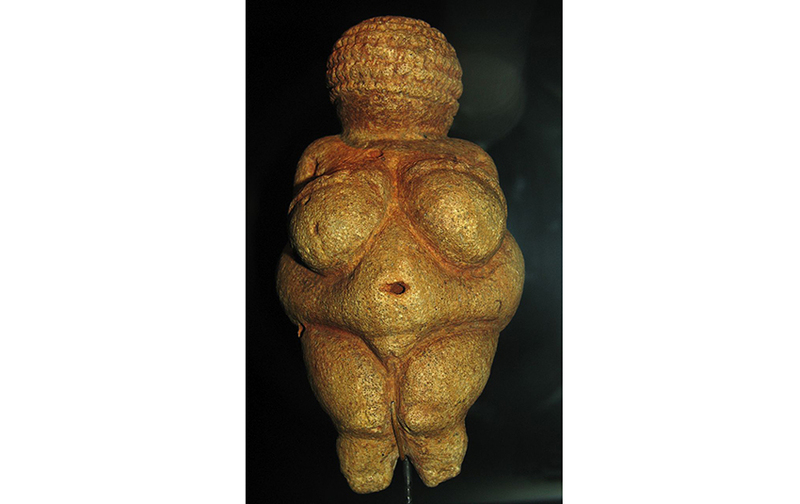 Venus of Willendorf, circa 28,000 to 25,000 years ago. Image via Don Hitchcock. Image via Wikimedia Commons. A famous example of art from this era is the Venus figurine. found dates back to 35,000 years ago or so, and was carved from mammoth tusk. of 29,000 to 25,000 years ago. 40,000 years ago or so. 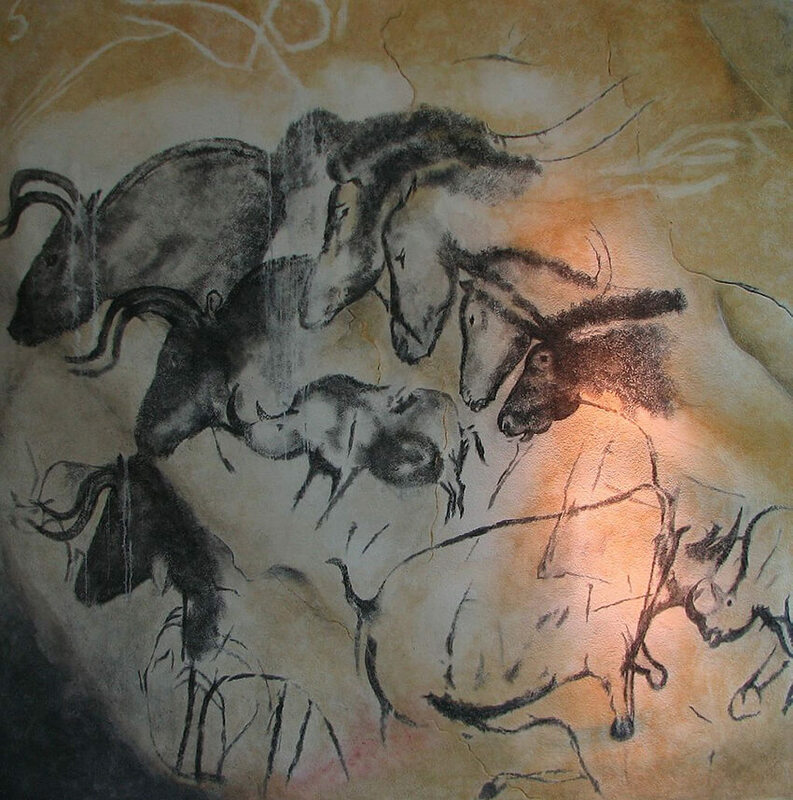 Replica of a painting of horses and rhinos from Chauvet Cave. Image via Wikimedia Commons. 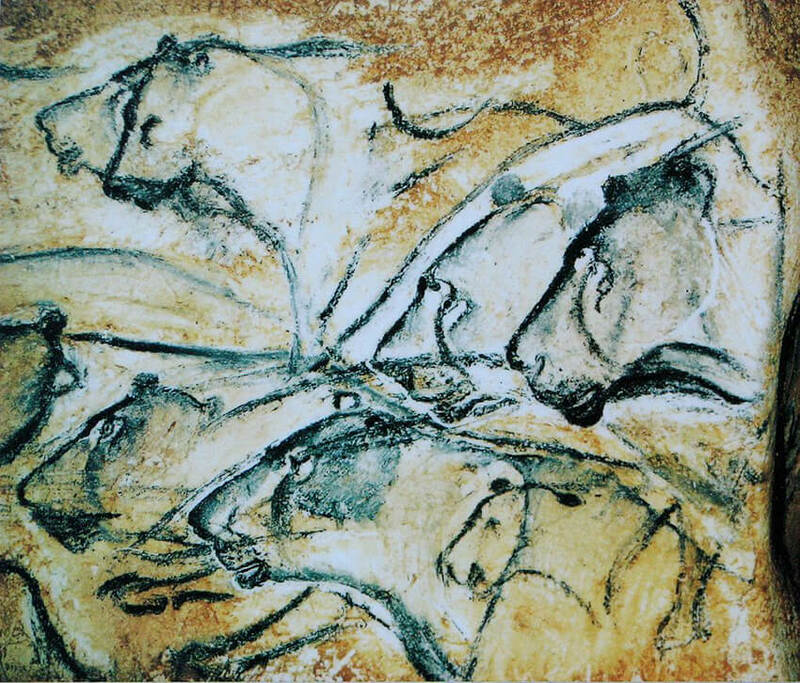 Replica of a painting of lions from Chauvet Cave. Image via Wikimedia Commons. to keep people safe, animals penned, and a place for food storage. advanced, so did art and our ability to create art. 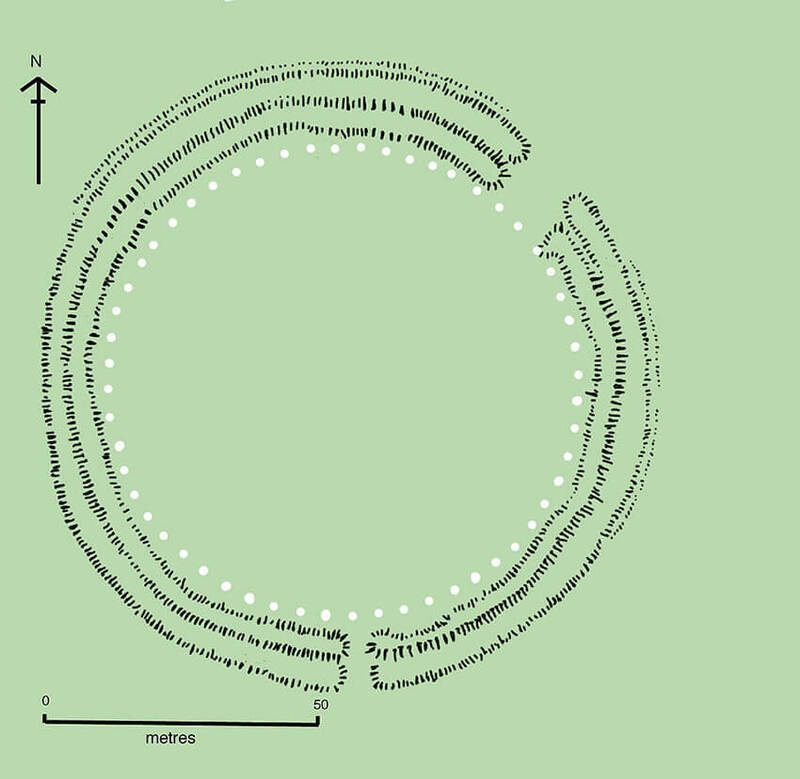 Stonehenge in 2014. Image by Diego Delso via Wikimedia Commons. Stonehenge phase 1, ca. 3100 BCE. Image via Wikimedia Commons. compositions we know them to be today. Before we leave this era for the next, let’s take a bit of time to chat about the tools used to create art and objects throughout the Stone Age. 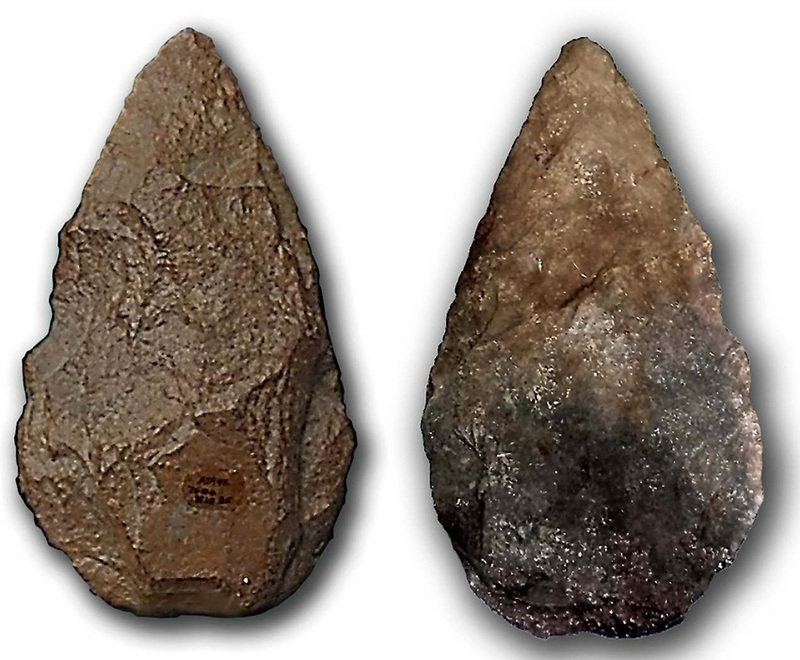 Most of the earliest tools were made of stone, wood, or bone. A hammerstone is one of the earliest tools noted. It fit easily in a human hand and was used to shape other objects such as hand axes or flakes, or to crush things such as foraged food. 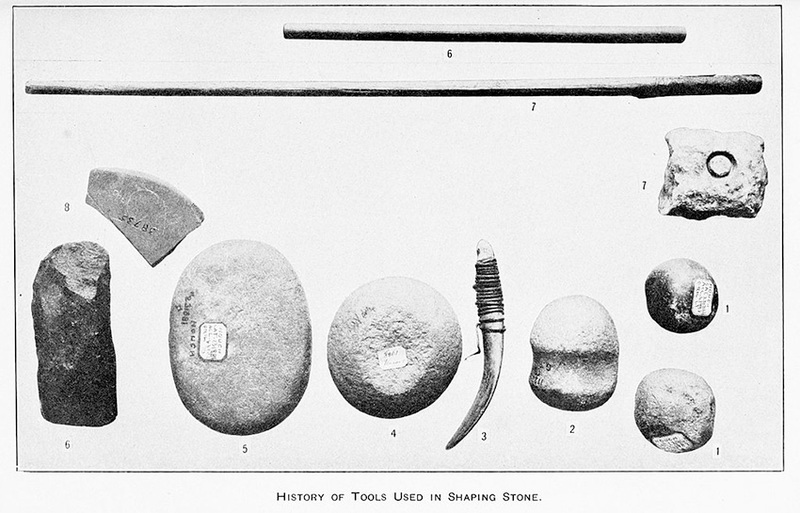 Hammerstones and other Stone Age tools. Image via Wikimedia Commons. The use of hand axes, or bifaces, and other chopping tools may have been for hunting, digging, chopping, or to create flake tools. Because we don’t have a written account of what hand axes were used for, archaeologists have to use context clues and the research of others in order to figure out what our ancestors did with such tools. Lower paleolithic hand axes made from quartzite. Image via Wikimedia Commons. Flake tools, mentioned above, are created by striking stone with something like a hammerstone or hand axe and flaking other pieces off it. These pieces were further shaped into tools like the scrapers seen below. These tools were used for woodworking and hideworking. As they were used, they became smaller and smaller, so the ones we have are mostly useless and are simply remnants of what our ancestors may have used. 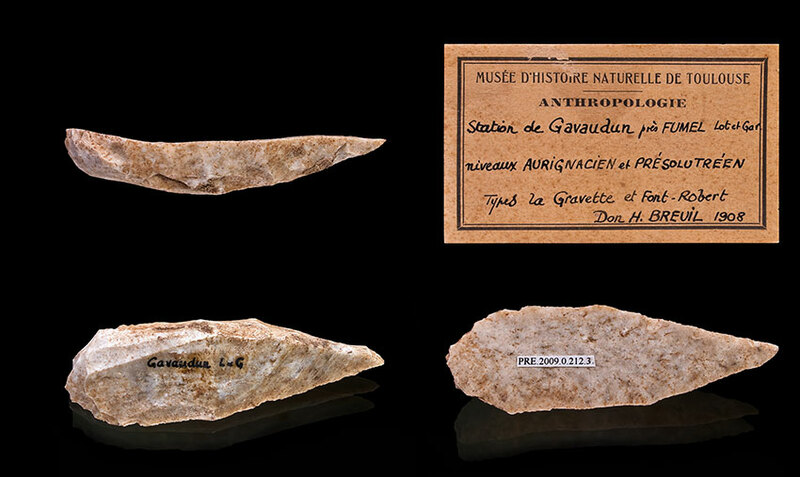 A scraper tool excavated in France. Image via Wikimedia Commons. So we have a bit about the tools that may have been used to create carvings and sculptures and architecture, but what about cave paintings? Firstly, what was used for paint? Some sources say dirt or charcoal were mixed with animal fat, water, or other binders in order to create a paste. Others note that pigments included hematite, yellow ochre, and oxides. These were ground up using stone or bone as a mortar within the cave itself. Possible tools used with pigments included sticks and twigs, feathers or fur, and hands. One of my favorite paintings can be seen below, where hands were used as a stencil. It’s theorized that some sort of pipe was used to blow pigment outward to splatter it around the hand, leaving these fantastic painterly impressions behind. 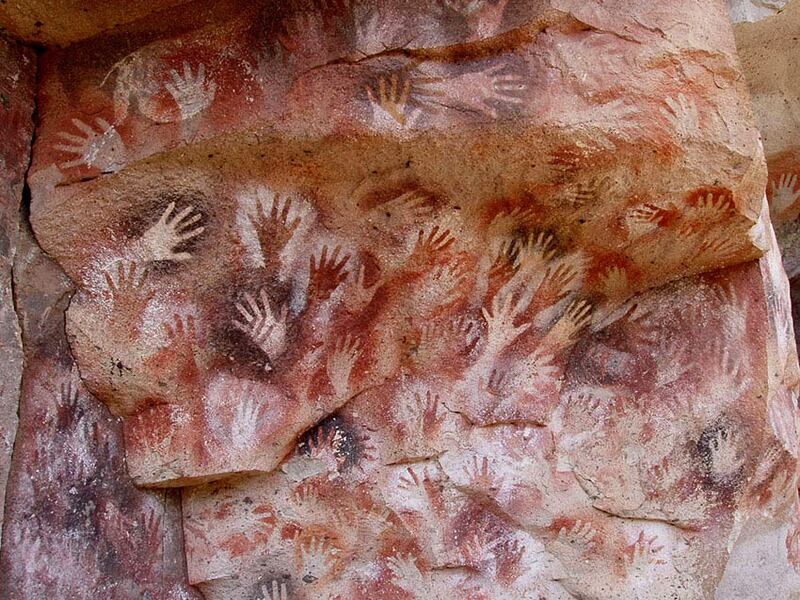 Cueva de las Manos in Spain. Image via Wikimedia Commons. Much like humans today, these early artists used whatever could be used to make a mark. It’s only some of these innovations that remain within caves and the earth around the world for us to study. us, telling stories, and establishing culture within our history. Very useful info specially the last section 🙂 I handle such information a lot.